Actually, if you laid everything out in advance you could probably do it in one minute. But I’m rarely that organised! Take a preformed card blank. 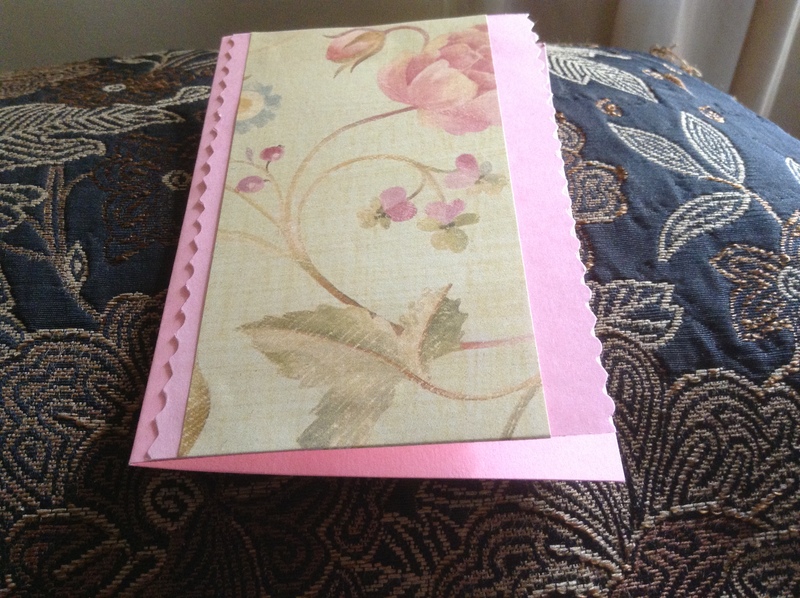 Take a piece of fancy card from my stash. Grab my wavy pattern scissors (mine came from Dunelm Mill and were very reasonably priced). 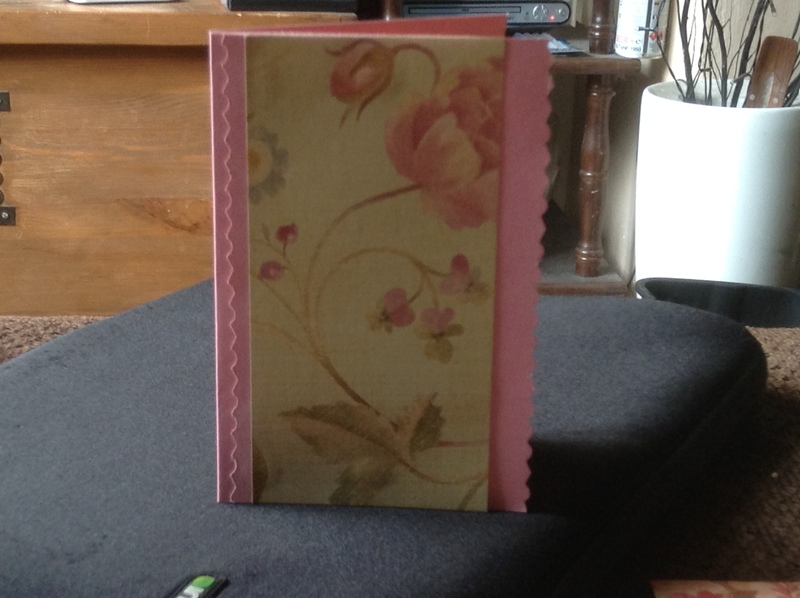 Cut a long strip off the edge of the card (that would be the front), retaining the cutting. Whack sticky dots on the fancy card’s four corners, stick the cut strip to the left hand edge of the fancy card and then stick to the card blank. If necessary trim the top on a cutter. Et voila. You can add a ribbon loop to sit in the fold, or I sometimes use a metallic embroidery thread as I have a stash of them and don’t like sewing with them. Or sometimes I’ll use a tiny peg and clip a corresponding smaller square, or a bow or sometimes a fancy button. But the pattern was busy enough that anything else seemed too fussy and I wanted a simple clean look, plus I was in a total rush to do it at 5.30am before I left for work! And it really did just take two minutes. I’m a bit rubbish at remembering people’s birthdays etc, and invariably end up buying a card from the poor selection in the canteen at my work. It took less time to make this card than it would to walk to the other side of the campus where the canteen is and buy one. This entry was posted in Paper craft and tagged Card.